Data cap has been falling the way the crypto market has been fallen… and you’ll keep wondering why is everything going down? Data is important because without it, your device will be of less use.At this point, lets talk about the suitable data for this month. 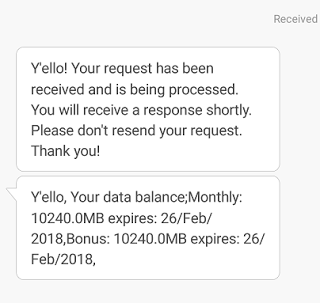 Airtel N1000 for 3G: Those of you that has been rocking Airtel Blackberry Plan on your Android device N1000 for 3GB… the plan has been discontinued. I don’t know why this came in such a time like this but Airtel choose to suspend the plan. Airtel Unlimited: No more Airtel Unlimited 10, 15 and 20. It is no longer unlimited. It is now capped; before now, if you exhaust any of the package plan, you can still surf but with a throttle speed. This time around, once you exhaust your plan, that is all. Airtel Unlimited N15, gives you 48GB to last you for 30 days. And dial *462*20# for the unlimited 20. Dial *323# and follow the prompt. Dial *777# to choose your preferred package.